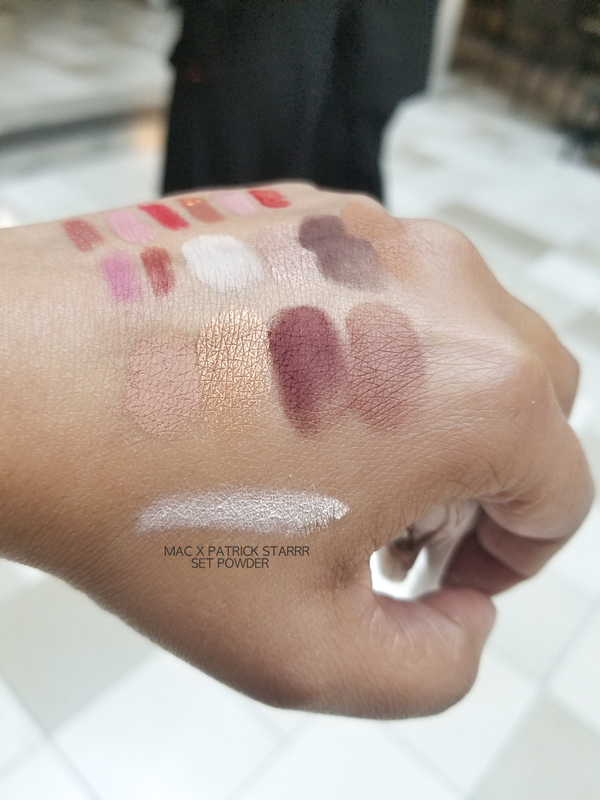 As someone who loves neutral, softer makeup looks, I love the colors included in the MAC x Patrick Starrr makeup collection. That said, there are quite a few products from the permanent line in this collection and could be a bit of a let down for serious MAC fans. 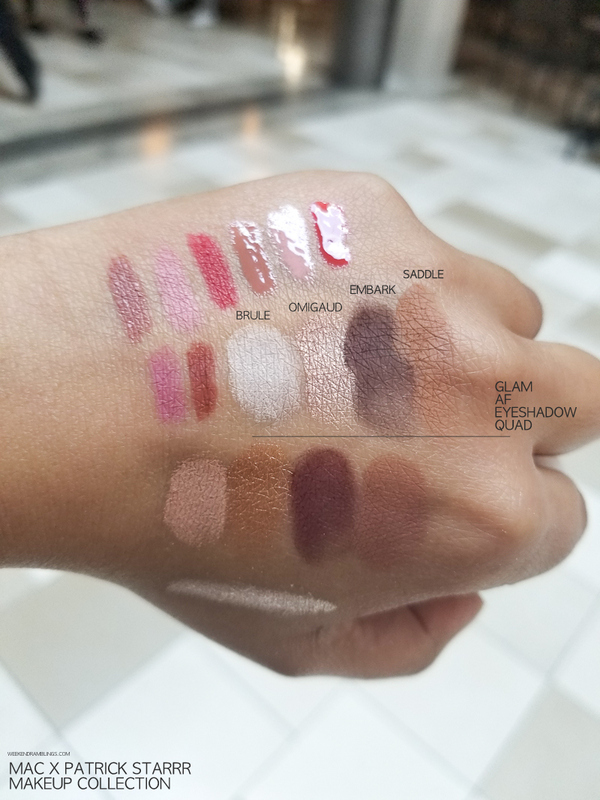 The two warm brown eyeshadow quads looked awfully similar side by side (though, of course, easily differentiated with swatches) and apart from Omigaud, the eyeshadows can be picked up as singles from the MAC permanent lineup. 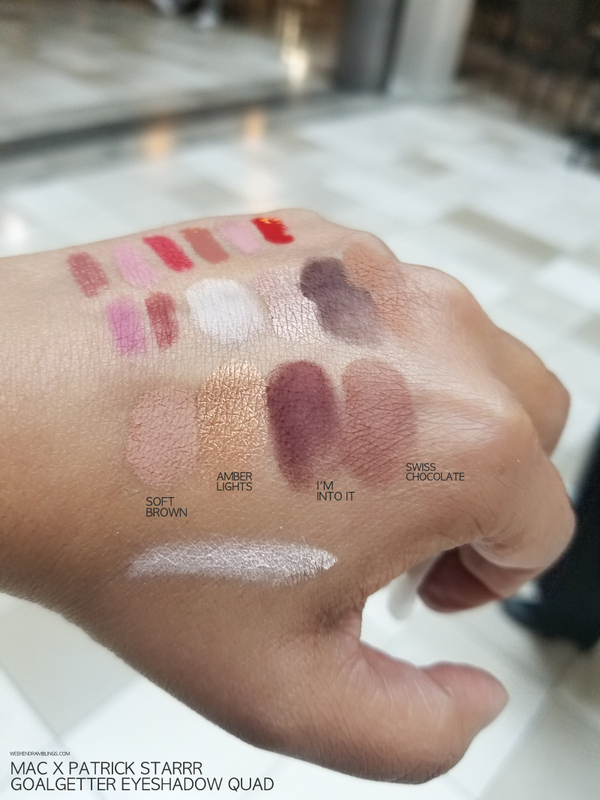 The eyeshadows in the quad do feel a little more pigmented/vibrant than the ones I have at home - not sure if it's because mine are quite old 😛. 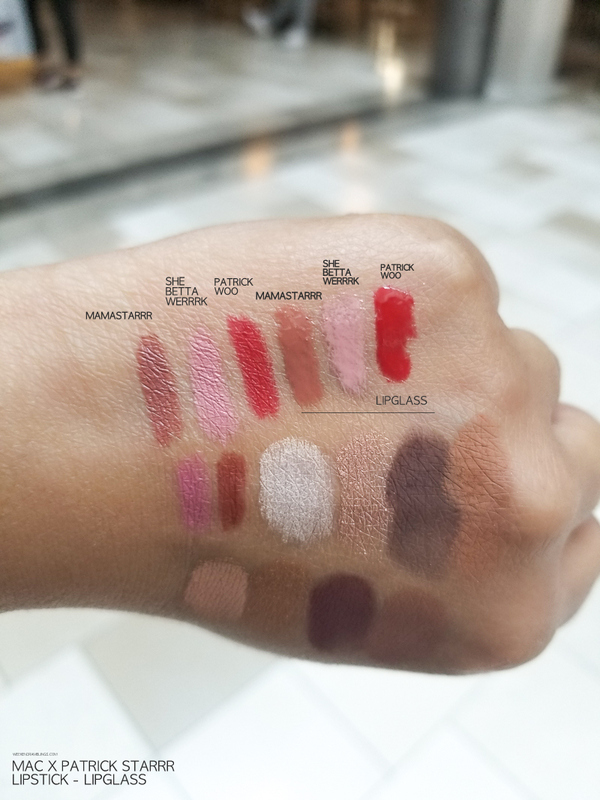 Among the lip colors, MamaStarrr lipglass and lipstick are on my wishlist. 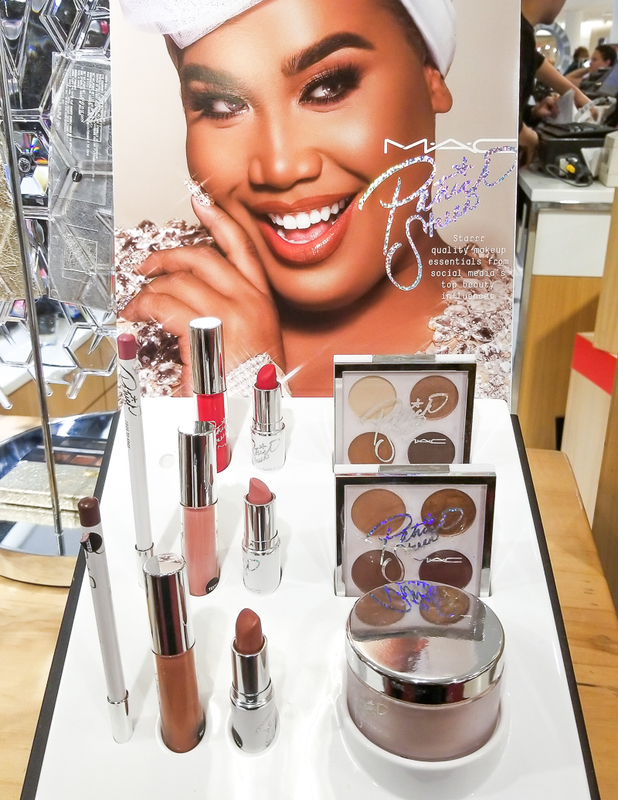 The collection also includes a loose setting powder - it won't be a Patrick Starrr collection without one! 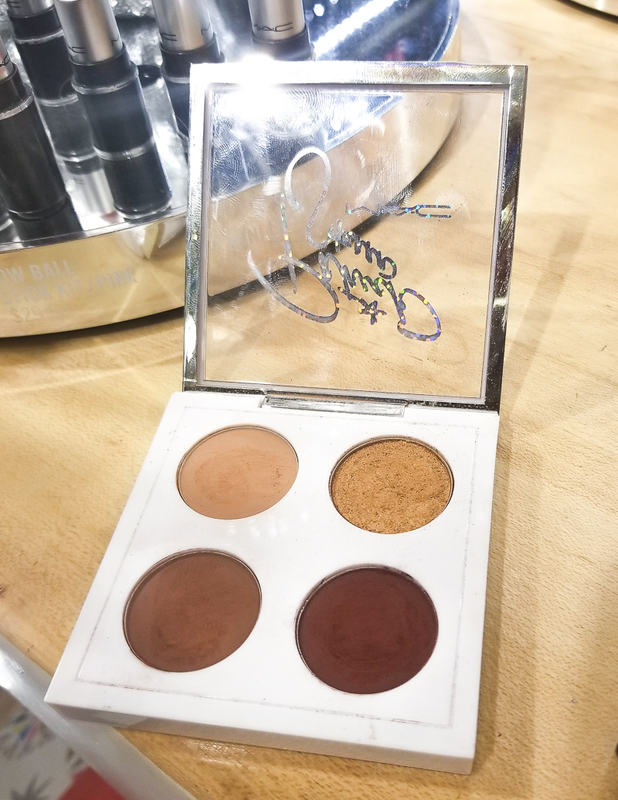 The powder seems a little light for my skin tone, but it has a beige color to it and might be a good pick for those who like a matte/baked makeup look. 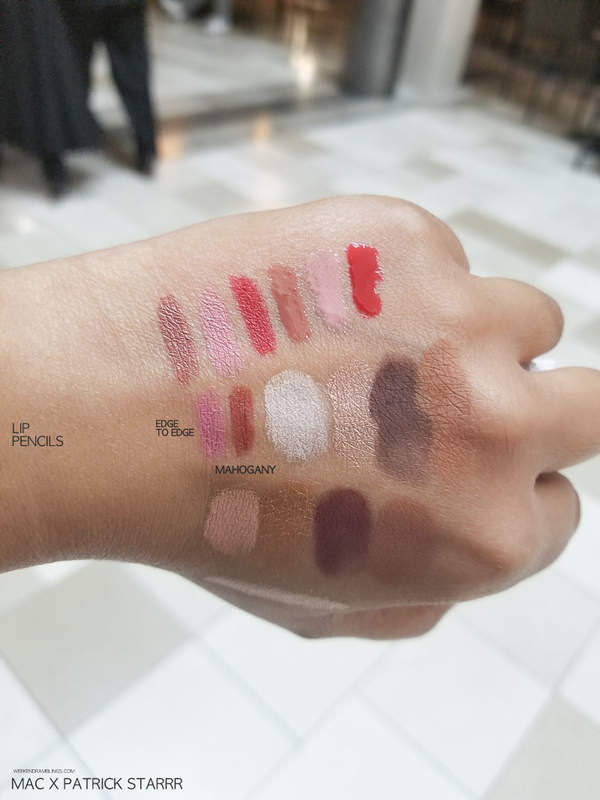 Overall, a lovely makeup collection with beautiful, easy-to-use colors and products.